Officials say all 920 Mississippi alligator public water hunting permits sold within less than an hour of becoming available. JACKSON, Miss. (AP) — Officials say all 920 Mississippi alligator public water hunting permits sold within less than an hour of becoming available. The Commercial Dispatch reports that officials say the permits, which sold Tuesday, were available on a first come, first served basis for the seven zones statewide and could only be purchased electronically through the Mississippi Department of Wildlife, Fisheries, and Parks' website. 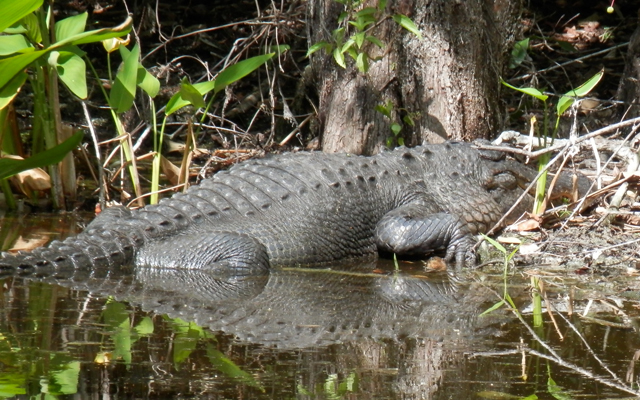 The 2015 Mississippi public waters alligator hunting season begins Aug. 28 and runs through Sept. 7. An alligator hunting training course will be offered August 15 at Roosevelt State Park for persons who purchased one of the permits. Officials say each permit allows for the harvest of two alligators over four feet long, but only one may exceed seven feet in length.